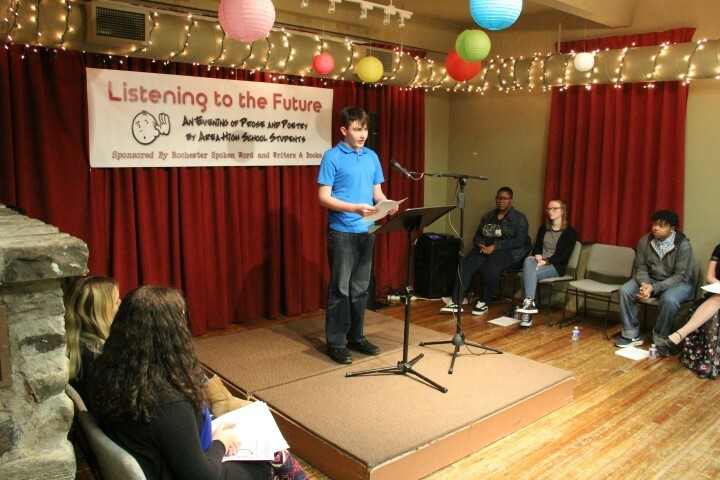 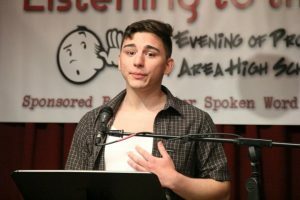 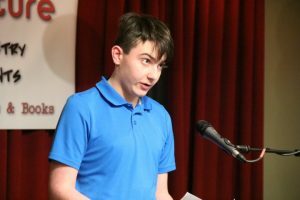 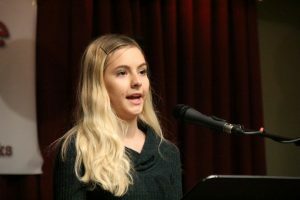 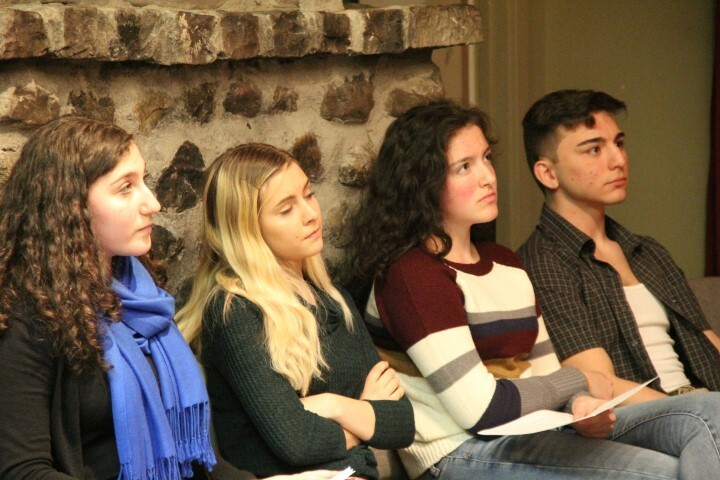 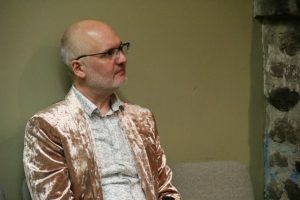 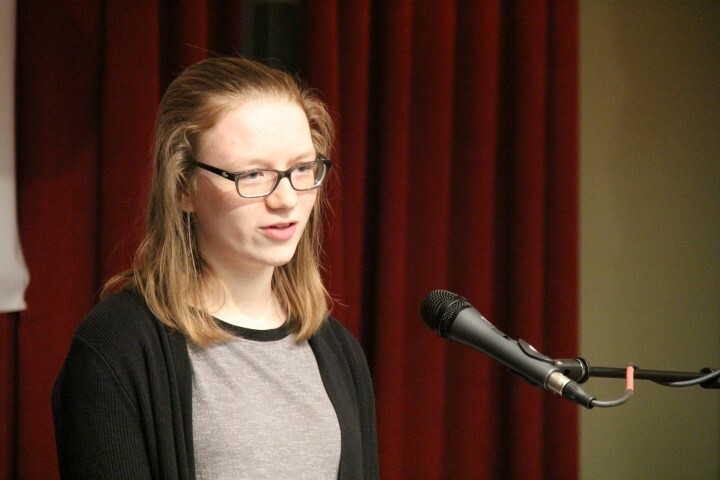 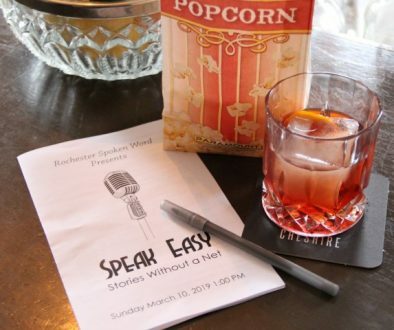 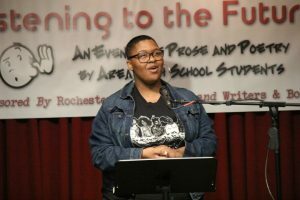 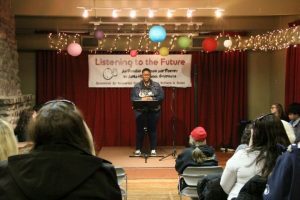 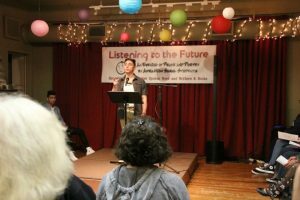 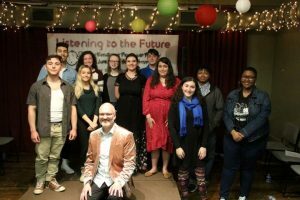 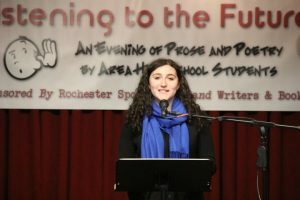 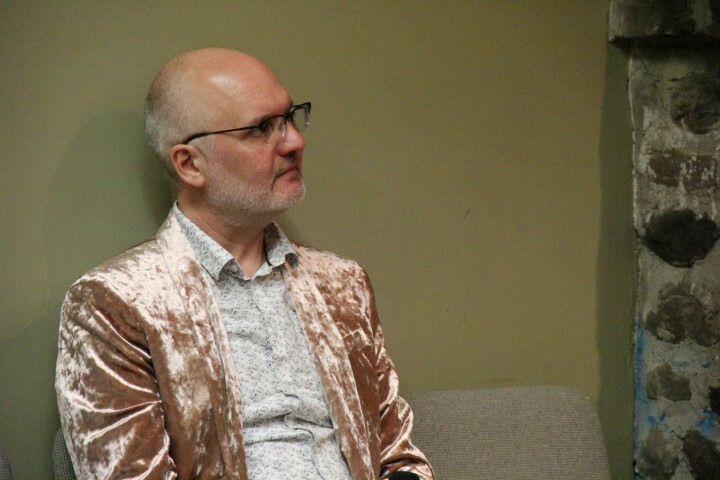 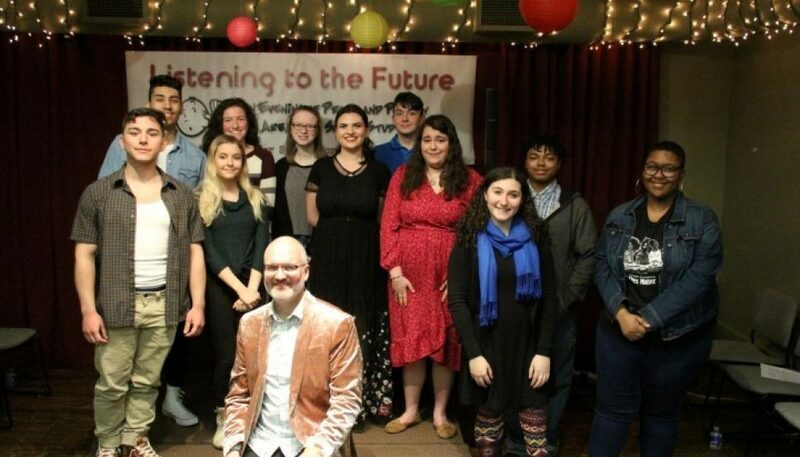 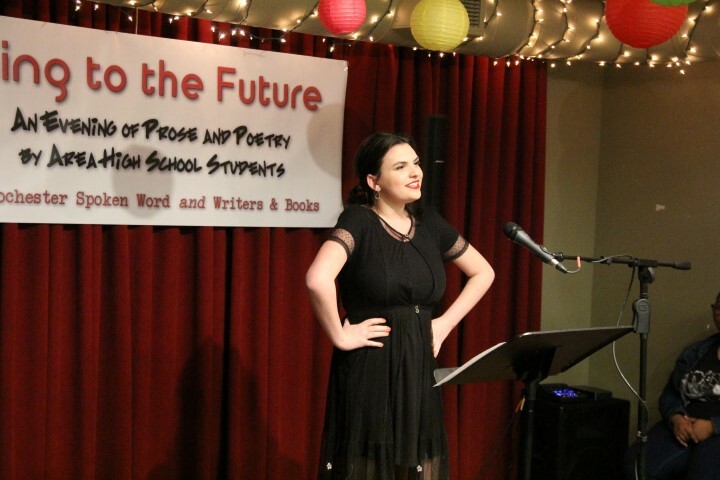 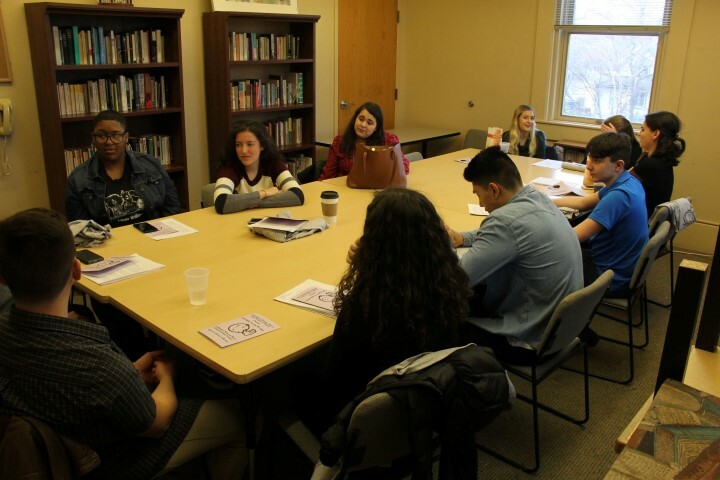 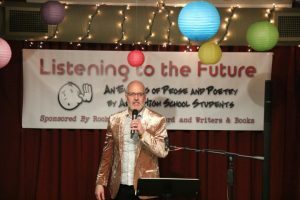 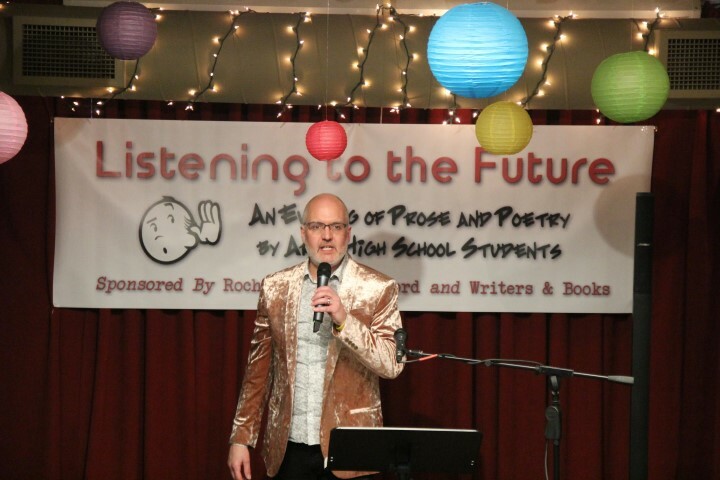 On Thursday, April 4, Rochester Spoken Word and Writers & Books teamed up for the third edition of Listening to the Future: An Evening of Prose and Poetry by Area High School Students. 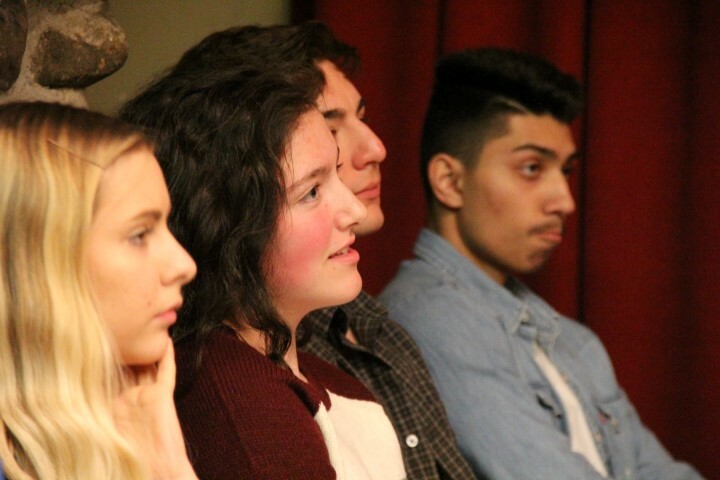 The first year, our student cast set the bar very high. 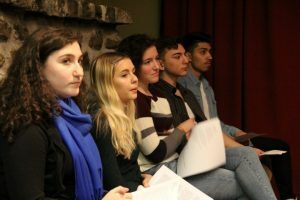 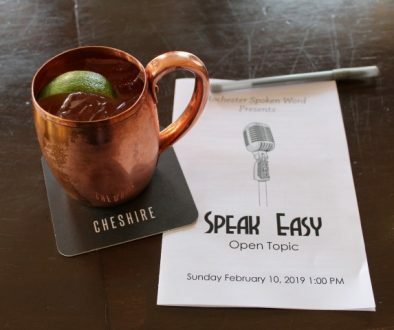 The second-year cast successfully met that challenge, and the 2019 cast was no different. 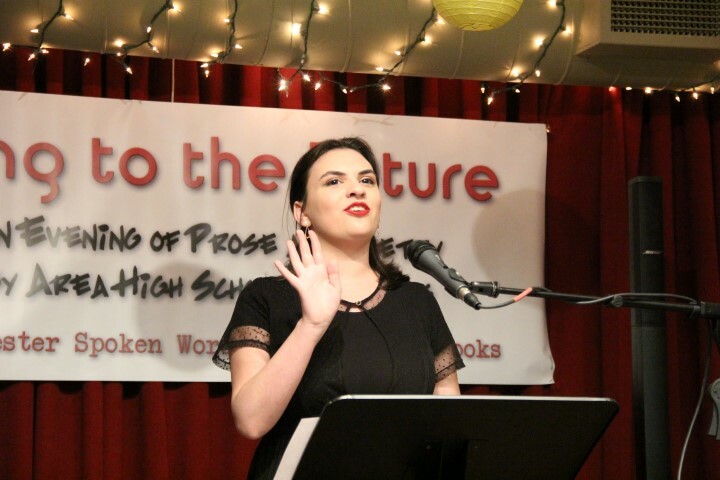 The talent, bravery, and poise on display by this year’s readers was inspiring, to say the least. 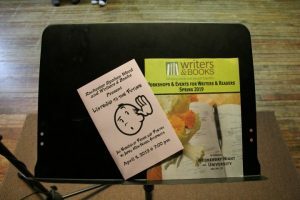 If you weren’t at the show, you missed a wonderful evening and should make every effort to attend next year’s show. These are the voices of our future, and you need to hear them. Sally Bittner Bonn and the Staff of Writers & Books for their assistance and for co-sponsoring the event. Martin Petrella for taking pictures. 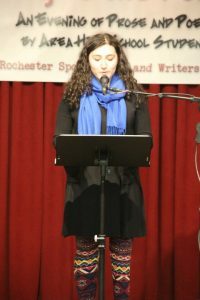 Noor Lima Boudakian for her invaluable assistance. Kathy Collina and Katy McNeill for making popcorn and selling T-shirts. 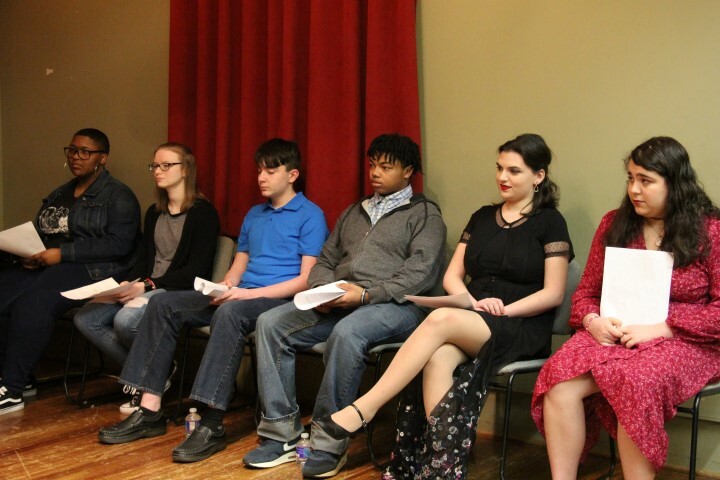 The cast chilling before the show. 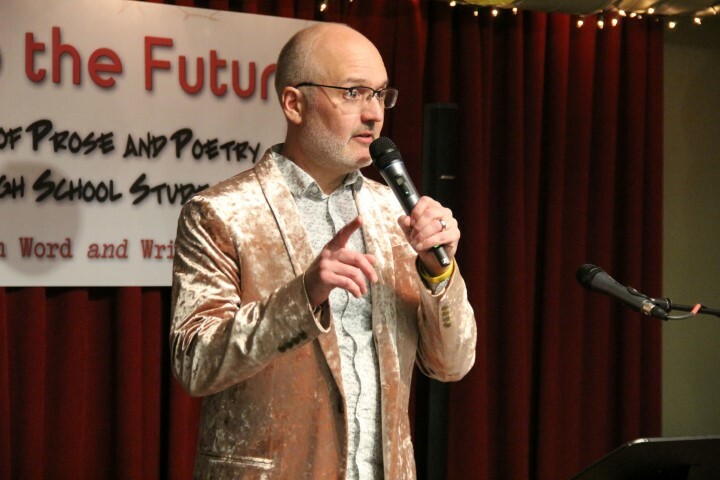 Your MC for the evening: Rochester Spoken Word Founder Scott Seifritz. 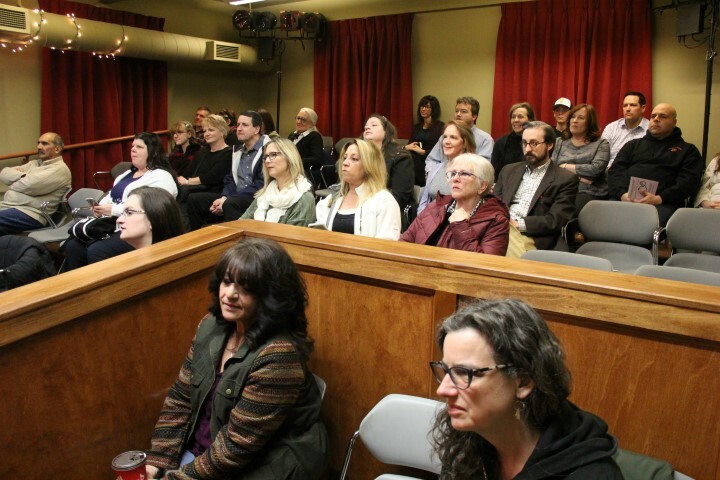 And what a lovely crowd it is! 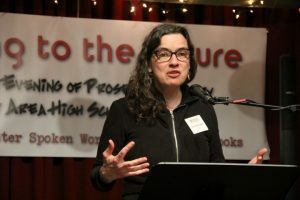 Director of Youth Education at Writers & Books, Sally Bittner Bonn, talks about SummerWrite 2019. 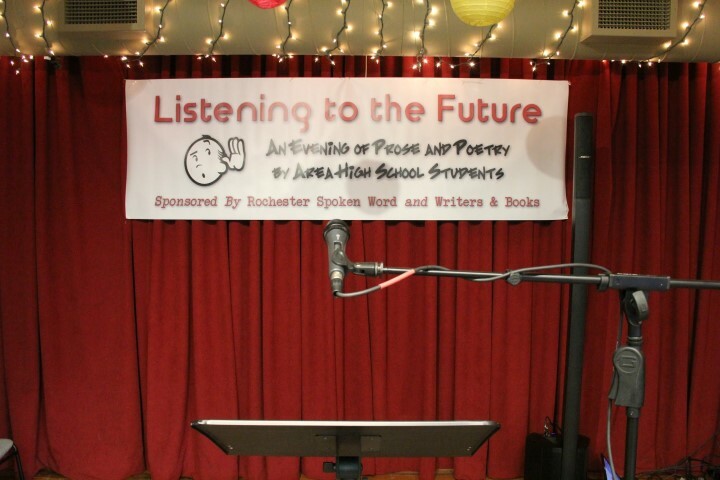 …ready for their turn at the mic. 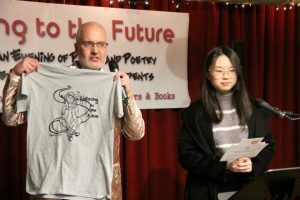 Scott holds up this year’s T-shirt alongside it’s designer, Jessica Zhang. Tali Beckwith-Cohen reading Electric Fingertips. 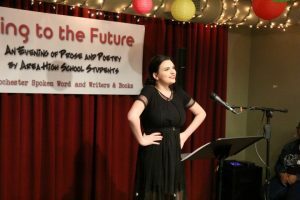 Tali is a sophomore at School of the Arts. Angelina Cannon reading Open Your Eyes. 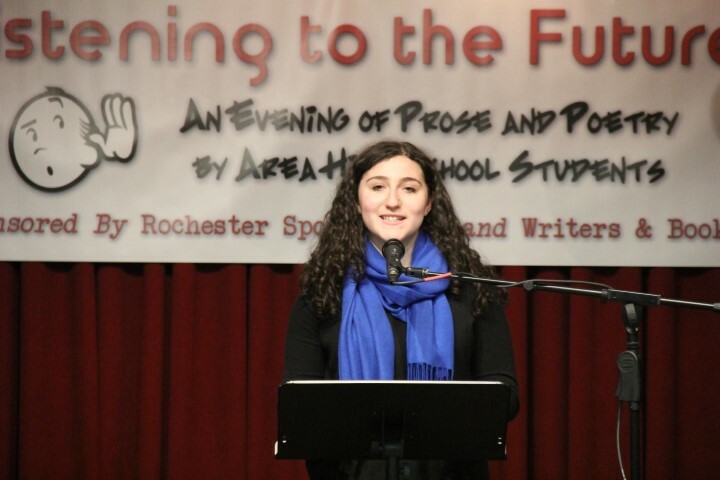 Angelina is a junior at Webster Schroeder. 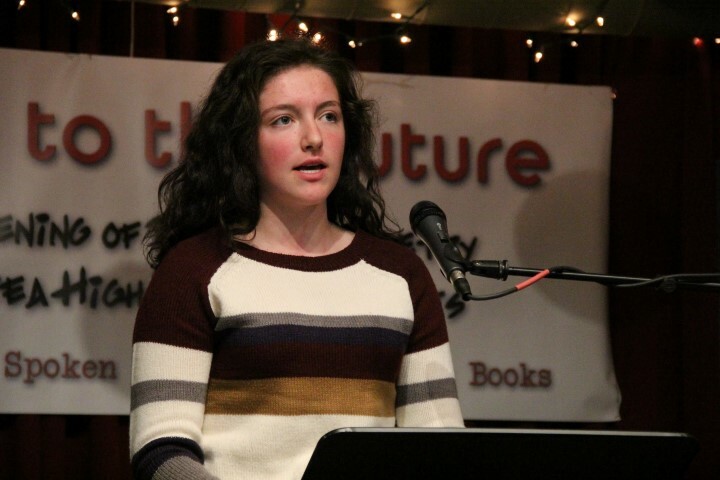 Kiera is a freshman at Victor High. 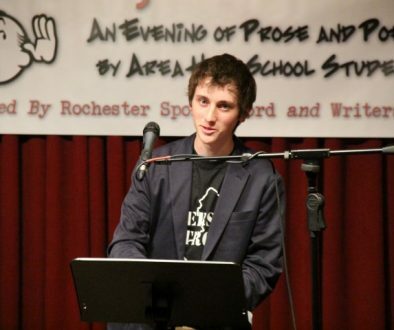 Nico Pantojad reading Just Like You. Nico is a senior at Webster Thomas. 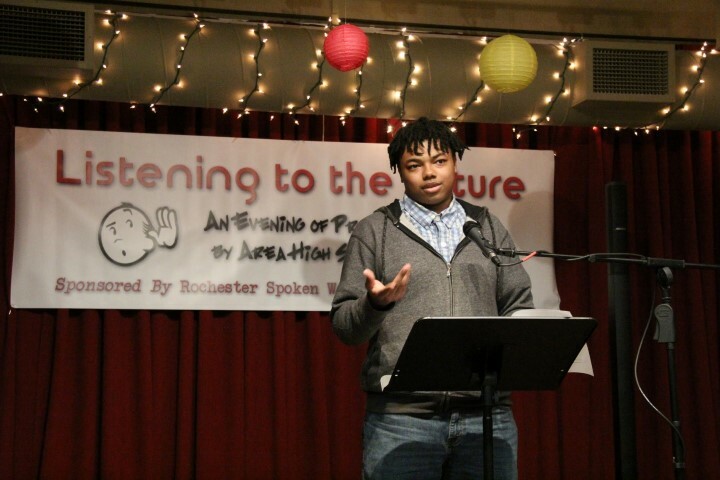 Wali Waheed reading From Racism to Resilience. 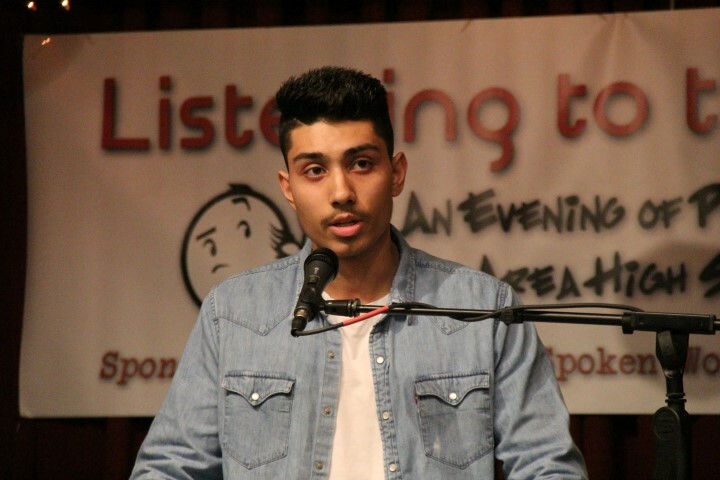 Wali is a junior at Webster Schroeder. 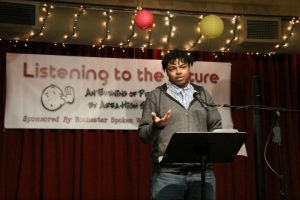 Kordae Graham-Mills reading Such a Fool. 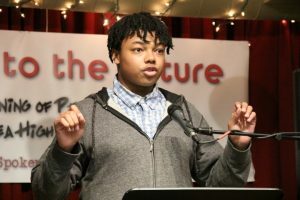 Kordae is a junior at School of the Arts. Sami is a junior at Webster Schroeder. 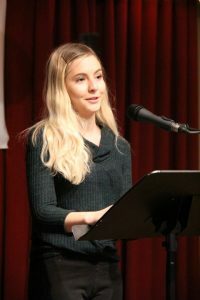 Taelor Kirkebye reading The Day I Die. Taelor is a freshman at Pittsford Sutherland. Turon Parker reading Bicycle Adventures. 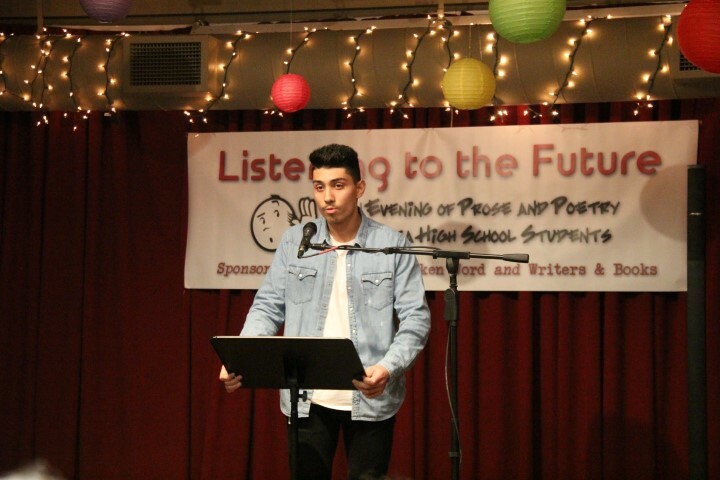 Turon is a junior at School of the Arts. 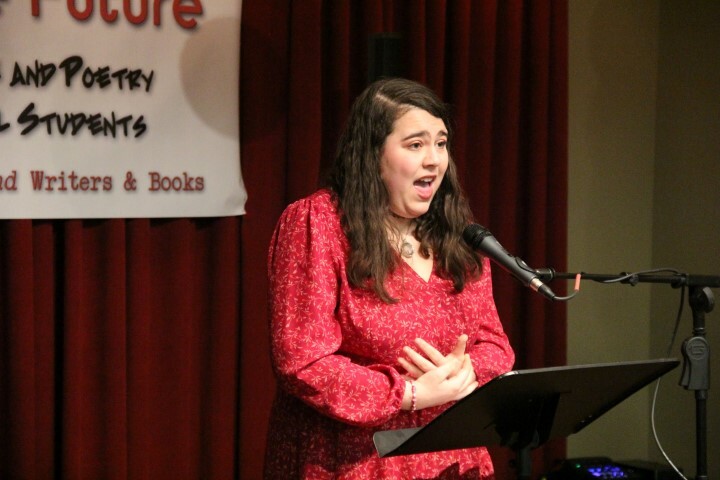 Grace Piscani reading Oh Sailors! 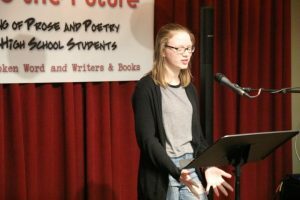 Grace is a senior at Victor High. 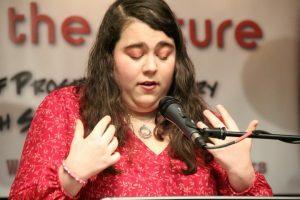 Lillian Greco reading The Journey of an Autistic Girl. 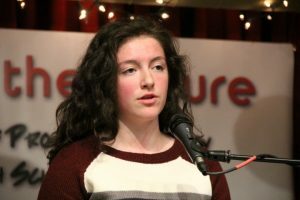 Lily is a junior at Our Lady of Mercy. 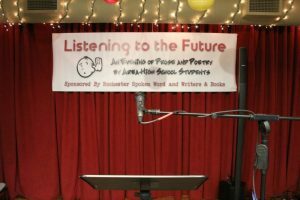 See you at Listening to the Future 2020!